Very difficult to imagine what life must have been like in St.Vincent in 1794 - over 200 years ago - when this print was published. British or perhaps Spanish Boats in the harbour - a bounty of fish to be caught - Caribs doing their thing - courtship that is probably no different from today. One lady in the print is carefully setting out fresh fruits. 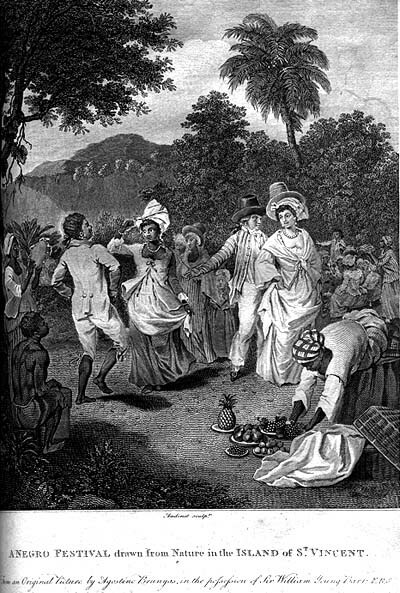 One musical instrument (see left) is evident and was probably sufficient for the dance which was taking place.